SLP Scotia began its milestone with a vision to transform the real estate landscape through a marriage of two local associate agencies; SLP Realty and Scotia Real Estate Group. 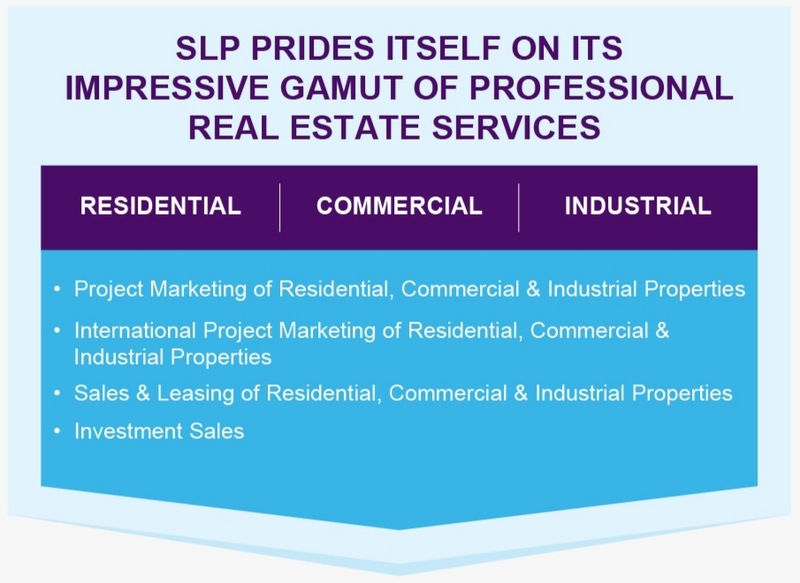 With a single vision to form the Agency of the future, SLP Scotia seeks to develop and empower our real estate consultants to be the best in the industry through dynamic team building schemes, revolutionary real estate investment trainings, digital marketing technology tools, agency clubhouses and global offices. In a business where size matters, the sheer number of close knitted associates allows the agency to both diversify and fortify along various departmental lines to take on the various segments of the real estate sector. With the firm belief of quality over quantity, SLP Scotia aims to grow our consultants to be a dynamic team of elites who will act as professional and ethical advisers to our clients; corporate or individuals. To be the most trusted & admired full-fledged real estate agency in the region. To build our business based on trustworthiness & professionalism with the emphasis to grow our people to achieve their aspirations in a sustainable manner. We uphold and conduct our business to reflect the highest standards of professional behaviour and ethics. We strive to provide a high level of service and professional know-how so as to always deliver beyond our clients’ expectations. We act and lead with a spirit of inclusiveness and respectfulness. We strive to implement new ideas for continuous improvement. We strive to implement and adopt new ideas and technologies for continuous improvement. We aim to create an environment in which our employees are empowered so that they can grow in the organization. SLP Scotia has a dedicated marketing and sales force, enabling commitment to developers as we carry out their project marketing and sales. We are able to, and have vested interest through our investment stakes, to see through from the beginning till the end that the projects we market are fully sold. For our customers, we also have an extensive international network of reputable developers with world class projects, which will assure our clients of a safe and hassle-free investment. With a fast-growing team of professional real estate consultants strongly equipped with up-to-date knowledge, usage of technologies, an excellent clientele base and strong relationship with external associates outside of the company, SLP Scotia is equipped with a comprehensive skill-set to handle the full spectrum of services required in the real estate market.